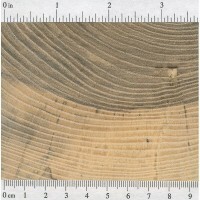 Color/Appearance: Heartwood is light brown to gray. 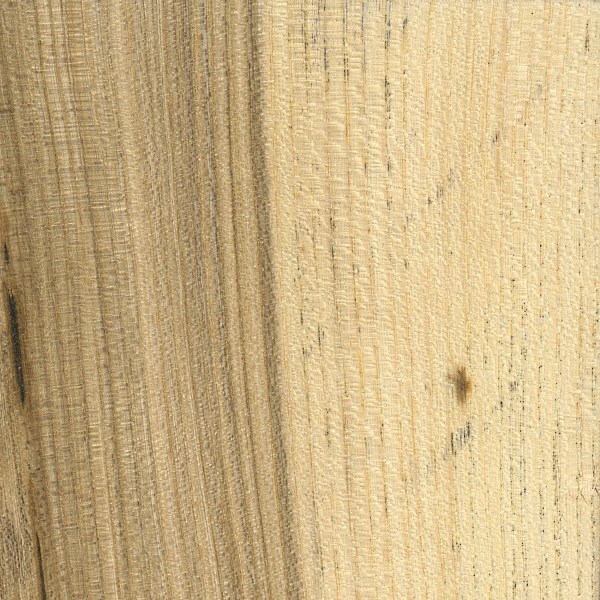 Wide sapwood is a contrasting light yellow. Susceptible to blue-gray fungal staining if not processed promptly. It’s overall appearance is similar to ash (Fraxinus spp. ), and it’s sometimes used in place of ash. 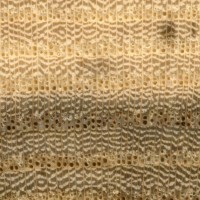 Grain/Texture: Grain is usually straight or occasionally slightly interlocked, with a very coarse uneven texture. 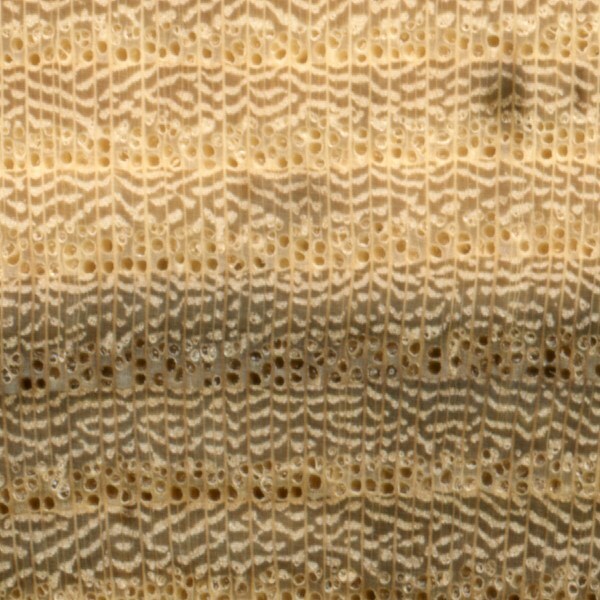 Endgrain: Ring-porous; 2-3 rows of large to very large earlywood pores; small to medium latewood pores in wavy tangential bands; tyloses common; parenchyma vasicentric, banded (marginal); medium to wide rays, spacing wide. Rot Resistance: Rated as non-durable to perishable. Also susceptible to fungal discoloration and insect attack. Odor: Can have a mild odor when worked. Allergies/Toxicity: Hackberry has been reported to cause skin irritation. See the articles Wood Allergies and Toxicity and Wood Dust Safety for more information. 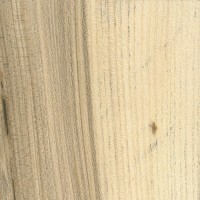 Pricing/Availability: Not widely available outside its natural range, Hackberry is regularly harvested and sold as utility lumber at a modest price within its natural range. 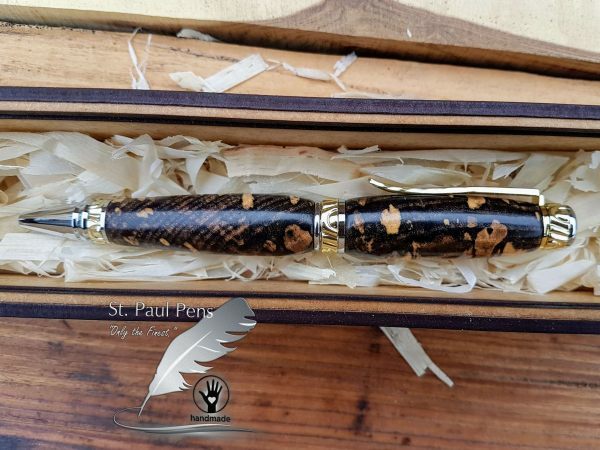 Spalted and/or stained pieces are sometimes sold at an increased price. 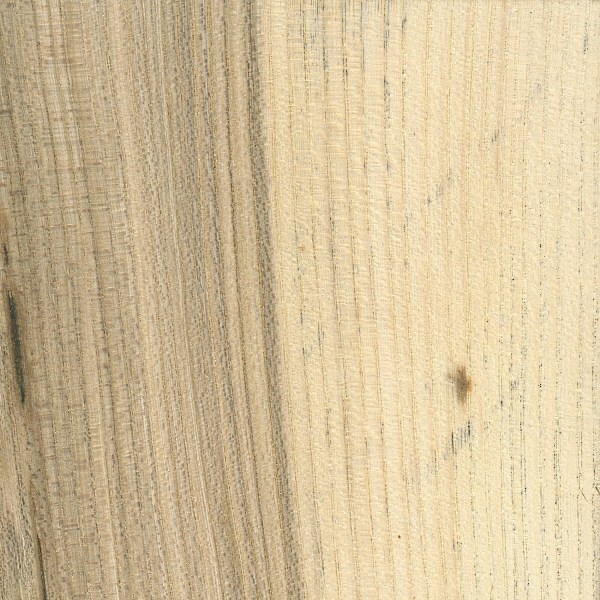 Lumber is sold interchangeably with the closely related Sugarberry (Celtis laevigata). Common Uses: Furniture, boxes/crates, veneer, turned objects, and bent parts. Comments: In terms of outward appearance, Hackberry bears a close resemblance to ash; anatomically, however, it’s closest to elm (Ulmus spp. 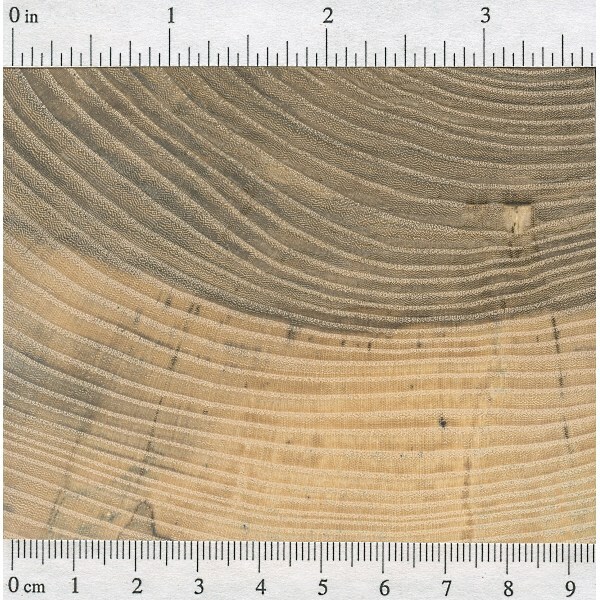 ), with the pores arranged in wavy tangential bands (ulmiform arrangement), which is characteristic of the elms. Hackberry is reputed to among the very best woods for steam bending among hardwoods native to the United States and Canada. Samantha and Rob, I came to the (always reliable) Wood Database looking for info that would help on that very same topic! There is a very large Hackberry in my brother’s backyard, partially overhanging the driveway. The sap and fruits, along with bird droppings, in season, drive my long-suffering brother batty. The leaves look, to me, to be so similar to prized tropical hardwoods, particularly the rosewoods, I’d wondered if it is related, or possesses any of the same desirable characteristics, making it suitable for musical instruments. In terms of its weight and hardness, the answer would be “ideal!” The fact that it is well known to be excellent for steam bending is just an added bonus. Like you, I’d appreciate hearing from any luthier with experience using hackberry, and what the results have been. 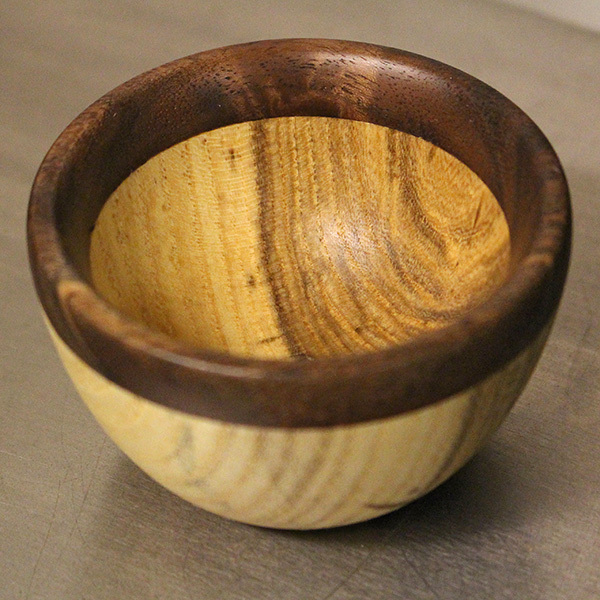 Could hackberry wood, or any wood from the Celtis genus be used to make musical instruments? Such as a guitar or flute, or anything at all? I don’t need specific information about how to do it, but I would really appreciate knowing if the Celtis wood is commonly used for any musical instruments. 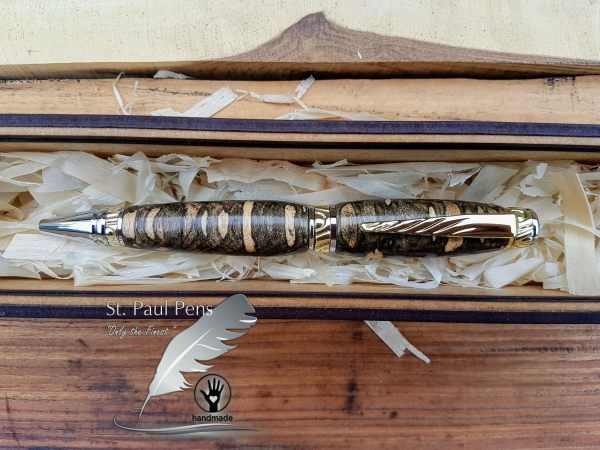 I’d really appreciate any information, because I’m having trouble finding any information online, and I don’t know quite enough about woodworking to know where to look. Thanks! We have a huge Hackberry tree out back that will have to come down soon. Maybe big enough for quarter sawn.